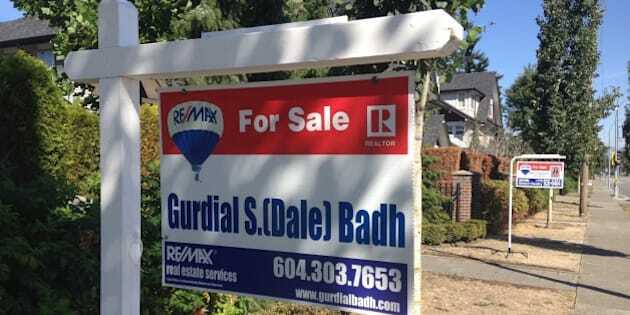 Is the conversation around affordability and home ownership in Vancouver a bit one-sided? I think so. Every day, we read a version of the same story: "Expensive Vancouver Detached Homes Getting More Expensive." But this fixation we have on the median price of a single-family home as a benchmark for affordability is misleading. What's lost in the current conversation and all the headlines is a real discussion about how we define a home. We repeatedly hear: Vancouver isn't affordable. So I ask you: what is it we are trying to afford? If it's a single-family home, then let's expand the conversation and ask why we think a single-family home is the only suitable option for a family? Should we expect to be able to afford a single-family home as our first home? Why not consider a condo or townhome as a starter home? Why can't we raise families in smaller spaces? Talk to people who have worked their whole lives towards owning a condo, or a family who intentionally and happily decided to buy into the low-maintenance lifestyle of townhome living, and it becomes quickly evident there are affordable alternatives with some fantastic perks like smaller mortgages, more disposable income, living in walkable communities and access to amenities like fitness centres and pools. Compact urban living is a choice and a lifestyle being embraced by more and more people in this city. And yet, it's a choice that few seem to understand or respect. Ask Jessica Thomas Cooke. At age 28, she just bought her first condo in Kits for $410,000 but when she tells people she bought "a home," people tell her: "No, you didn't. You bought an apartment." Her response? "It's home to me and it doesn't matter how big it is. We have to adjust our expectations. This is the way the city is moving. There's no use complaining." Why does it seem like we have such strong opposition to compact urban spaces? I did it. My wife and I bought our first condo in Vancouver when we were both 24 because we couldn't afford to buy anything else. We then moved back to Whistler where I was from, but we couldn't afford Whistler so we bought a townhome 20 minutes up the road in Pemberton where we had our first child. Then we sold it for a small profit and bought in Squamish and moved up the property ladder from there. It took 10 years and dedicated financial planning to ultimately get into a 2,600 sq.-ft. home for our family of six. That route -- climbing the property ladder -- is still accessible to many Vancouverites today. Unique circumstances aside, I wonder if we should be doing a better job of managing our expectations. According to Statistics Canada, the average home was 1,050 sq. ft. in 1970, housing 3.5 people. In 2006, the average family size went down to 2.5 but home sizes went up to 1,900 sq. ft. We have to ask ourselves... why? If you look at other major metropolitan cities -- like New York, London and Hong Kong -- most people live in condos/apartments, and have raised families in this environment, in some cases, for over a century. I respectfully ask the question: have we as Vancouverites maintained an antiquated perspective while our city has grown into a metropolitan destination. Are we doing a disservice to the next generation of young people and young families when we insist on single-family homes as the only goal in real estate ownership? I suspect all the aforementioned urban centres had to ask themselves the same questions at some point. The media and the #donthave1million campaign have created a sense that there are no housing options for under $1 million in the City of Vancouver. This is just wrong. There are a number of alternatives available in the City of Vancouver and you don't need a million dollars. They are condos, townhomes and duplexes. Why aren't we talking about that? Check out the stats on supply, affordability and the household income required to buy a $384,000 condo and it will become quickly obvious that homeownership in Vancouver is not the far off dream it's made out to be. Yes, Vancouver is expensive and yes, you may not be able to afford a single-family home in the same neighborhood you grew up in. But you could buy a condo or townhouse, if they were available. Let's stop referring to the single-family home with the expansive patch of grass as the only option. Let's start talking instead about condos, townhomes, duplexes and let's look at solutions. If you want to own a home, start small. Buy a condo. Or explore the myriad of options for multi-family housing under $1 million. I guarantee you #dontneed1million to get a home in Vancouver.